If you are planning on traveling with your baby, it can be a very stressful occasion. There are a lot of things you have to take into consideration before you even leave the house! You especially have to make sure your baby is going to be safe and comfortable during the entire ride, because travel with a cranky baby is no fun at all. Some parents just avoid traveling with her young children and wait until they are older to travel with them. Unfortunately, that’s not always an option, and sometimes we simply must take her children with us. If you are a parent that is going to take her young baby with you for a trip, here are some things to remember. Car Seat — First of all, you’re going to need a car seat. No ifs, ands or buts about it. Not only are they required in every state in the US, but most other countries require them, too if you plan on traveling abroad. If you’re traveling by car or plane, you can’t hold your baby the whole time. When traveling by vehicle, your baby should be in a car seat at all times; it’s very unsafe to be holding them. Be sure to read our guides and reviews to find the best car seat before you leave. Stroller — A travel stroller can be an absolute lifesaver depending on where you’re traveling. Some models fold down and compact, making them easy to store away in the trunk of a car. If you’re going to be doing a lot of walking, a stroller is an excellent piece of equipment to have with you. You can read our section on strollers to find the best stroller for your needs, too! 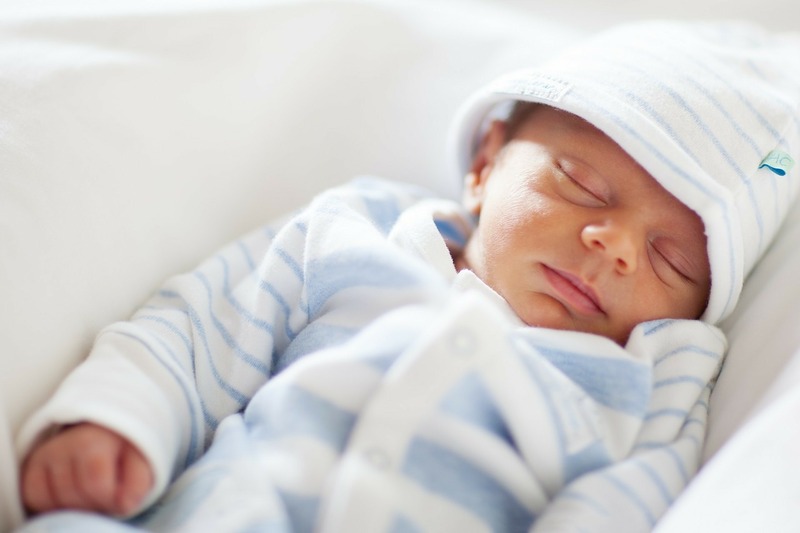 Sleep — Also be sure to think about what your baby is going to sleep during your trip. You might consider purchasing a travel baby crib, which can be a very convenient thing to have if you’re going to be away from home for a while. If not, you really have to be careful where you put your baby to sleep. It is not safe for you to sleep in the same bed with them, as there is the danger in you rolling all on top of them in your sleep. First Aid Kit — You should also consider packing a first aid kit. A first aid kit is something every traveller should have, not just parents. Some of the basics you should have in your first aid kit should be pain relief tablets, Band-Aids, and typical first aid items. Before you leave, be sure to look over your first aid kit to make sure you have everything you need and that you haven’t forgotten anything. Breastfeeding & Feeding Supplies — If you’re breastfeeding your baby still, consider bringing a shawl with you to provide privacy if there are people around. You could also consider a breast pump, which is a very convenient way to feed your baby without having to breastfeed. If this sounds appealing, be sure to read our guides to find the best breast pump for your purposes. Bottled Milk or Formula — If you’re going out for a day trip, you might consider bringing along pre-bottled milk. 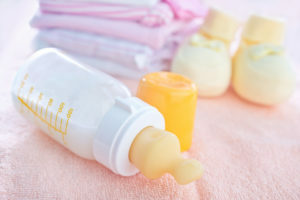 If your baby is on formula, don’t forget to bring along enough to last for the duration of your trip. Also, don’t forget to bring your best baby bottles along with sterilizing equipment, too! Food — If your baby is eating baby food, be sure to bring some along. If you’re heading out for a multi-day trip, I’d suggest bringing along extra food, just in case. Feeding Equipment — Don’t forget items like bibs, spoons and wipes. You’ll probably want to bring along a plastic bag to put dirty items in, as you likely won’t have opportunity to wash them until you get home. Diapers — Don’t forget diapers! Be sure to bring lots along, because you don’t want to run out or worry about trying to find more when you’re away. Extra Clothing — Be sure to keep extra clothing on hand for your travels. Sometimes the weather can turn nasty before you even know what, and it’s a great idea to always be prepared for any kind of weather. Be sure to bring extra baby clothing especially, because even if the weather is fine, unforeseen accidents with spilled juice or food can be a huge mass if you have extra clothing to change your baby into. It’s a great idea to always pack some extra warm clothing no matter where you’re traveling, because you can always take off hot clothing if it is too warm outside. Hats — A wide-brim hat is good for keeping the sun off of your baby’s face and neck, or keeping them warm in chilly weather. Blankets — Like clothing, extra blankets are a great thing to have with you. Blankets not only provide comfort and warmth, but can also be used to provide shade from the sun, too! 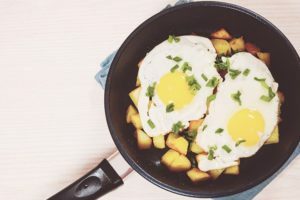 This is just a list of essential items to think about bringing with you, but you’ll probably have a few items of your own that you’ll want to bring along, too. Be sure to brainstorm and think of anything you’ll want to bring along!